This oversized floatation board was designed to perform swiftwater rescue. Four handles allow a solid grip for maximum control. 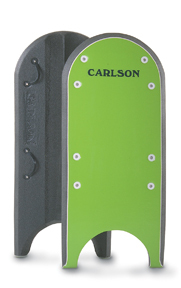 Board features increased durability with armored tails and sealed rails—super improvements for safety. Made of closed cell foam with a hard plastic bottom for stiffness and durability. Materials won’t absorb water and stand up to abuse.